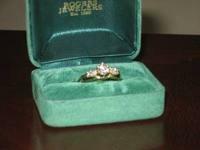 George Walton Gold and Diamond Company Ring. 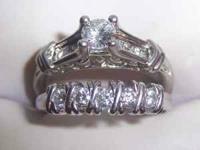 3 Stone Engagement Ring with 4 Stone Wedding Band - All Platinum Size 5. 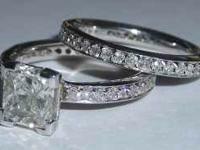 All altered to Platinum, diamonds are all round dazzling cuts. 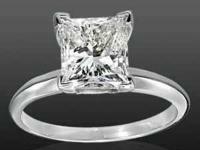 Diamond weighs.70 / 100 cts and 2 side diamonds.64 / 100 cts. Clarity range is VS2 and color array is H. Diamonds are embeddeded in platinum heads and the band was switched to platinum. 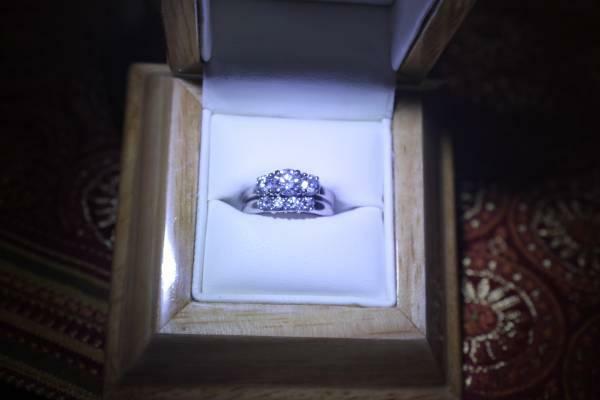 4 diamond wedding band in platinum, complete weight unknown but was priced estimate $2500.00 to add the same to the opposite side. 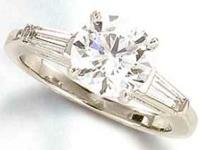 Fair market price BEFORE extra wedding event band AND platinum was $8700.00 +. NO TEXTS !!! Local Calls and Inquiries only. Will take cash money or cashier's check.